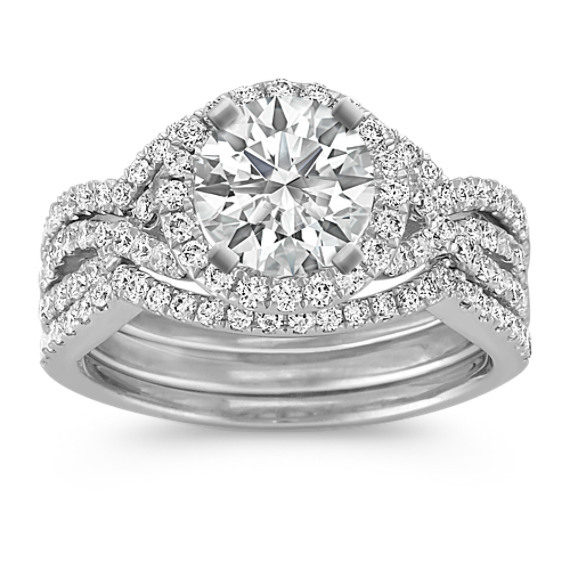 Halo Infinity Diamond Triple Band Wedding Set with Pave-Setting | Shane Co. This sparkling halo infinity wedding set is crafted from quality 14 karat white gold and includes three stunning rings. One hundred and twenty-six round pavé-set diamonds, at approximately .64 carat total weight, will provide brilliant accents to the center diamond of your choice at approximately 1.50 carat.